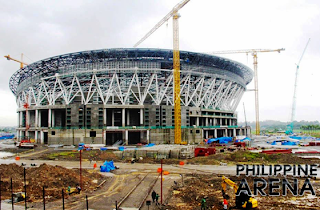 THE PHILIPPINE ARENA is a multi-purpose indoor arena constructed at Ciudad de Victoria complex, a 75-hectare tourism enterprize zone in Bocaue and Santa Maria, Bulacan. It is situated next to the north-bound lanes of Noth Luzon Expressway (NLEx). 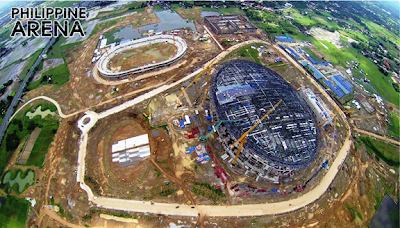 It is the crown of a huge complex where a hospital, school, sports stadium (Philippine Stadium) and sports center (Philippine Sports Center) are also being built. 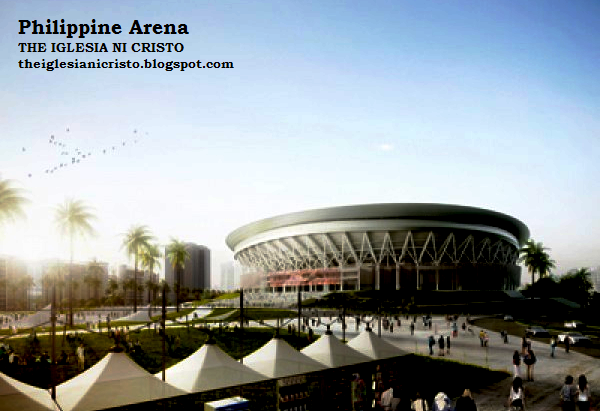 New Era University, a non-profit educational institution of the Iglesia Ni Cristo (Church of Christ), is the legal owner of the Philippine Arena. 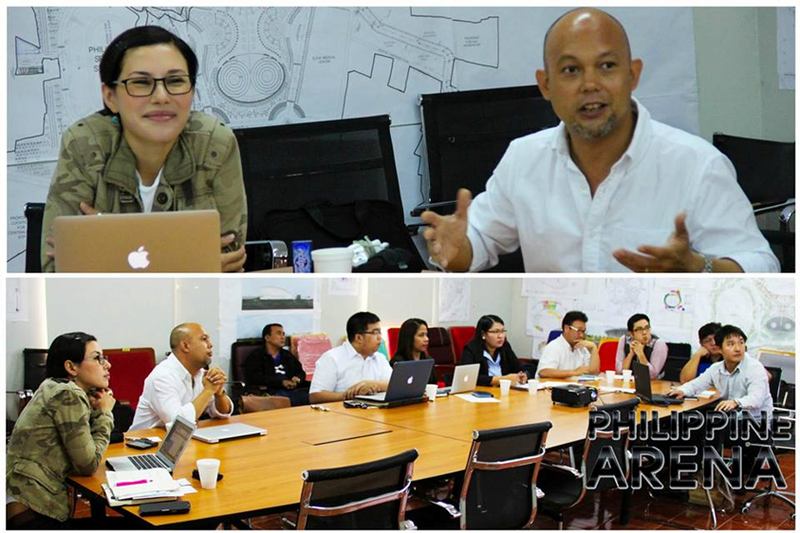 Populous, a Kansas Ciy-base global mega-architecture firm, designed the Philippine Arena through their firm in Brisbane, Australia. The construction was carried out by by Hanwha Engineering and Construction Corporation, a South Korean based firm. 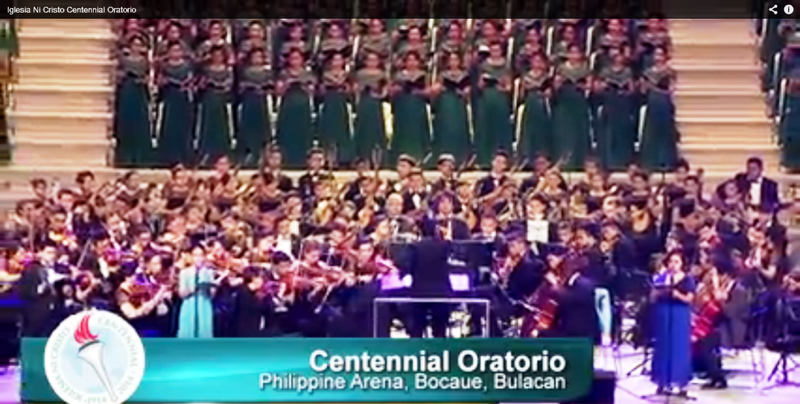 The Iglesia Ni Cristo week-long Centennial Celebration was held at the Ciudad de Victoria complex that started with the inauguration of the Philippine Arena last July 21, 2014. The Philippine President, Benigno S. Aquino III, as the guest of honor. 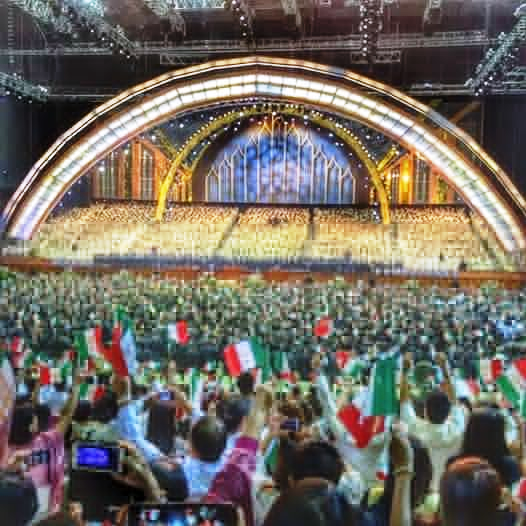 On July 27, 2014, the 100th anninversary of the Iglesia Ni Cristo, a special thanksgiving worship service officiated by Brother Eduardo V. Manalo, INC Executive Minister, was held at the Philippine Arena attended by more than 1.5 million INC members. This event was followed by INC Centennial Orotorio. On July 29, 2014 a special musical play was featured. On July 31, 2014, a stage play was featured. The week-long celebration was concluded by an Evangelical Mission on Augist 2, 2014. The Philippine Arena has been master planned to enable at least 55,000 people to gather inside the building and a further 50,000 to gather at a ‘live site’ or plaza outside to share in major events. The arena is a one-sided bowl. The lower bowl will be the most frequently used part of the building and the architectural design allows for easy separation of the lower bowl from the upper tier, by curtaining with acoustic and thermal properties. Built on 99,200 square meters of land and will have a dome of 36,000 square meters. The roof will span some 160 meters, and will contain 9,000 tons of steel. 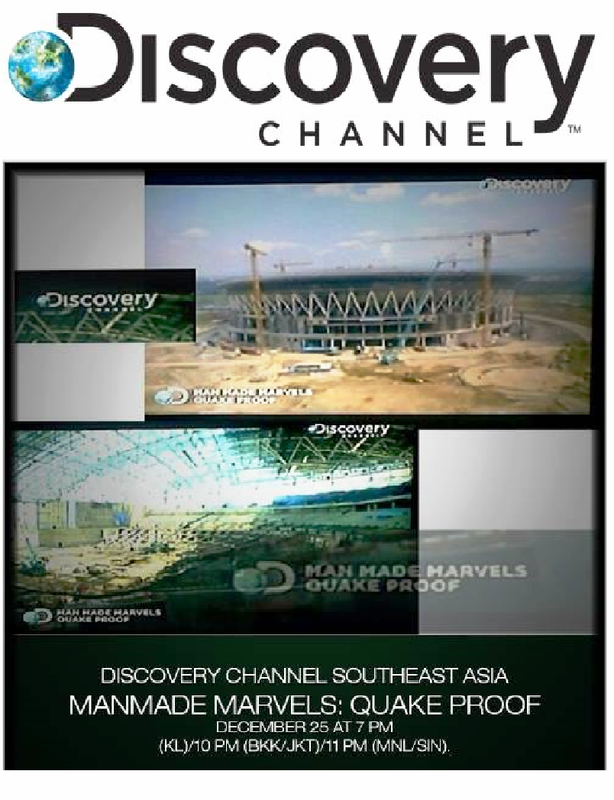 When the National Stadium in Singapore was completed in June, INC detractors were quick to conclude that it is indeed the biggest domed structure in the world and not the Philippine Arena. But here’s the thing: the two mega-structures are under two different categories. Therefore, comparing them is like trying to compare apples and oranges. Although both are intended to accommodate sports activities and 55, 000 seats, Philippine Arena and Singapore’s National Stadium are completely different. Philippine Arena which is an enclosed facility used for indoor events. The National Stadium, as its name suggests, is categorized as a stadium which is usually an outdoor location. The Mercedes-Benz Superdome (originally Louisiana Superdome and commonly The Superdome) is a domed sports and exhibition venue, located in the New Orleans, Louisiana, USA. Also as its name suggests, is categorized as a "sports dome." 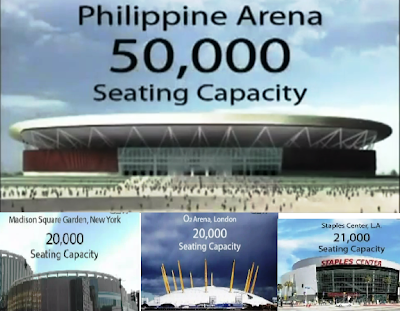 Thus, the Philippine Arena and the Mercedes-Benz Superdome are under two different categories. 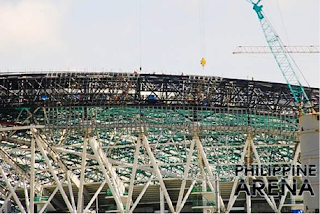 The National Stadium and Mercedes-Benz Superdome also have retractable roof and expandable, while Philippine Arena is a fully air-conditioned indoor domed structure. 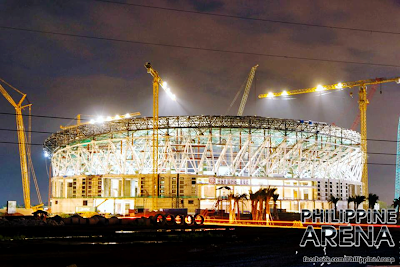 The Philippine Arena is under the category of "mixed use indoor theater or arena" and the largest in this category. The arena will not only hold major church gatherings, it will also operate as a multi-use sports and concert venue, capable of holding a range of events from boxing and basketball to live music performances. As part of the INC centennial celebration, the INC held a special worship service officiated by Brother Eduardo V. Manalo, the INC Executive Minister. During the special worship service, the singing of hymns of praise was led a choir composed of 4,745. The said occasion was also attended by millions of INC members. The 55,000-seater Philippine Arena and the 20,000-seater Philippine Sports Stadium were jam-packed by delegates from different parts of the globe. The rest of the millions of brethren that attended the occasion stayed on the grounds of Ciudad de Victoria, witnessing the event through the monitors installed at different parts of the complex. The special worship service was followed by special musical program. 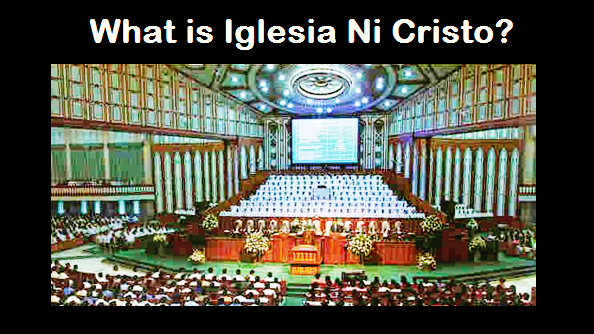 The Iglesia Ni Cristo broke the current record of the United States of “Biggest Gospel Choir” when they celebrated its Black History Month last January. A total of 1,171 choir members participated in the event. The INC’s 4,745-member choir of the said event broke this record as choir members from different church locales have trooped in to one location. 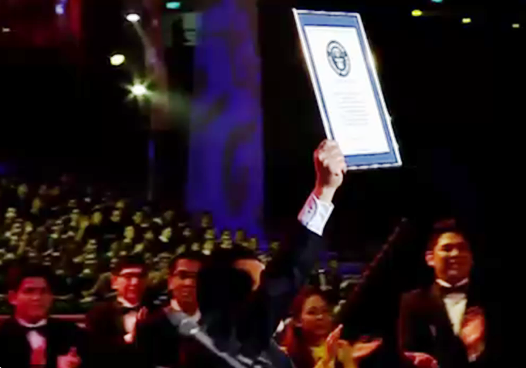 In a program after the INC's worship service, a representative from Guinness World Records announced that the INC has won the two world records for the “Biggest Gospel Choir” and the “Largest mixed-use indoor theater in the world, the Philippine Arena.” This rounds up the total world records held by the Iglesia Ni Cristo to eight. The construction of the entire complex is worth P9.4 billion, that according to a newspaper “an enormous amount that even the government cannot afford for a sports facility." The Philippine Arena was made entirely from the INC members’ voluntary offerings. According to INC members, they consider giving offerings as a duty and not as donation because they can see clearly where their offering goes. 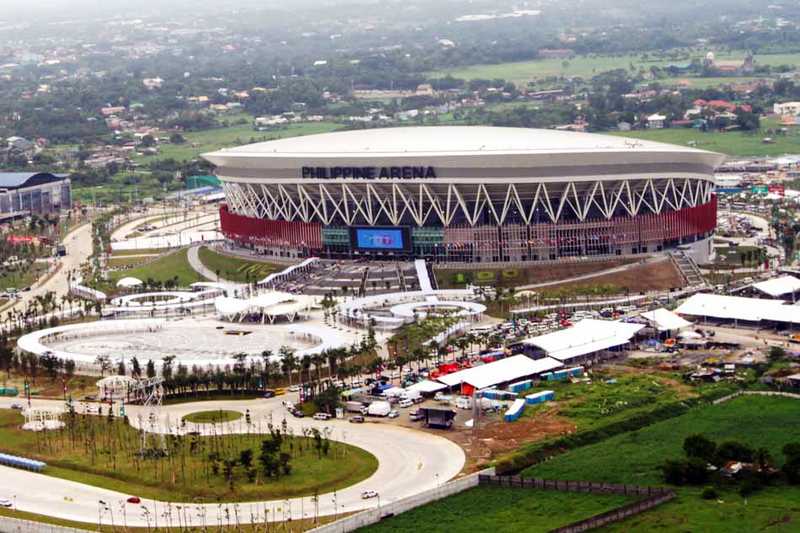 (a) Did you know that the AREA of the Philippine Arena is 9,000 square meters equivalent to 236 basketball courts (assuming one basketball court is 420 sqm or 15m x 28m)? (b) The Mall of Asia is the considered as the largest Mall in Asia as of this date. 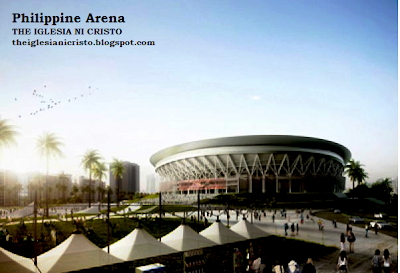 However, the Philippine Arena is equivalent of Eight (8) Mall of Asia Arena (assuming MOA Arena is 12,740 sqm). 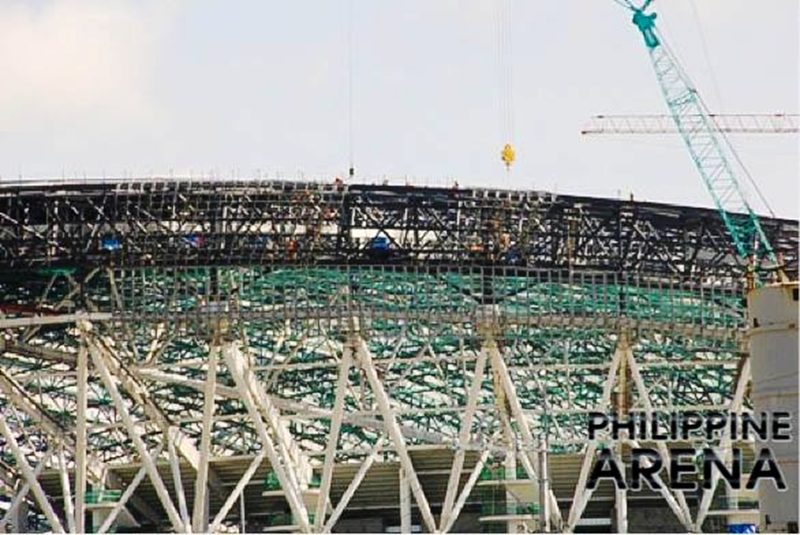 · (c) The weight of the space frame of the Philippine Arena is equivalent to 6,000 tons (6,000,000 Kg) which is equivalent to around 1,000 elephants (assuming the average weight of the African elephant is 6.0 ton). (d) The Boing 747-8 is the longest airplane in the world, however, the Philippine Arena is equivalent to 320 Boeing 747-8 (Assuming Boeing 747-8 is 76.4m). · (e) The Blue whale is the largest animal in the world, but the Philippine Arena is equivalent to 1,008 blue whales (Assuming blue whale is 25m). 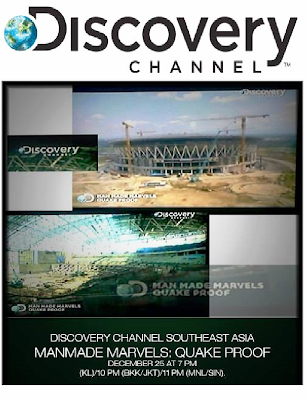 Denise Keller (top left) and David Moggie (top right) producers and director of the Discovery Channel Documentary about the arena called "Quake Proof" talks about the important points of how the movie will run. Interview will start next month and the first part of the film will be aired on the latter part of December this year. (Below) The meeting is between the owner's representative (New Era University), the Project Manager (Generations Design Asia GDA) and Hanwa Construction. 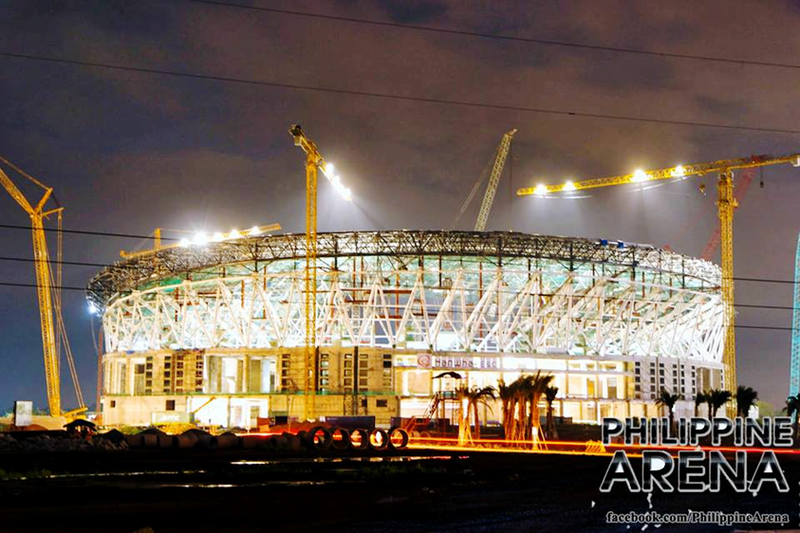 The Philippine Arena will be our shining trophy, a magnificent landmark, a continual blessing from the Almighty God under the able leadership of our Executive Minister Bro. Eduardo V. Manalo, this dream will become a monumental achievement of the Iglesia ni Cristo on its Centennial Year...TO GOD BE THE GLORY! I'm so Excited to be part of the History ever of the Iglesia Ni Cristo Centennial! See you there!! !